I got to know Danny Rose when we played together in the Team GB squad for the 2012 London Olympics. He impressed me then with his ability to play any of the positions down the left side and he is developing into one of the finest left-backs in the premier League. I can pay him no higher compliment than say he reminds me of my brilliant old team-mate Patrice Evra. Patrice had similar pace and power and he was great at nicking the ball past an opponent and flying past him. Of course, it did not always work out that way. A lot of the time the opponent would miss the ball and take out Patrice and I lost count of the times I would wince as Pat went flying up in the air and hit the deck hard. 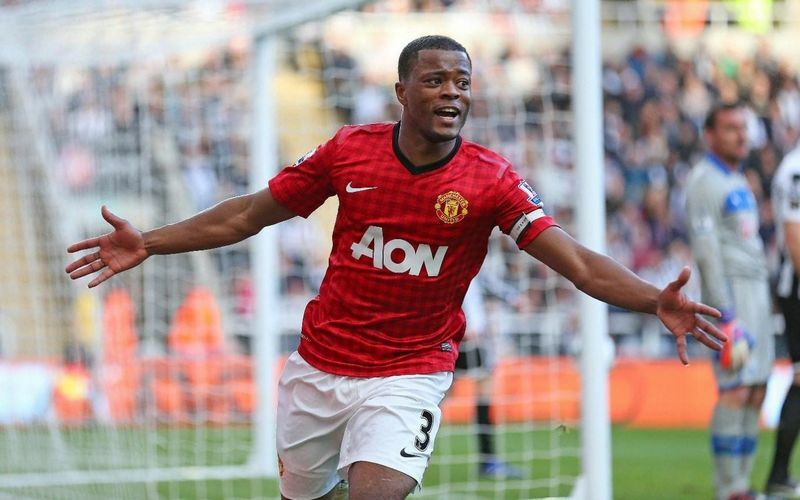 Patrice Evra during his Man Utd days. CREDIT: ACTION MAGES. But he was tough, he would get up and play on and Rose strikes me as the same kind of footballer. Pat was always available, no matter what the aches and pains, and he would find a way to be ready for the big matches. That is why he is still playing now for Juventus, aged 35. On the other side, Spurs have Kyle Walker, another good attacking player. 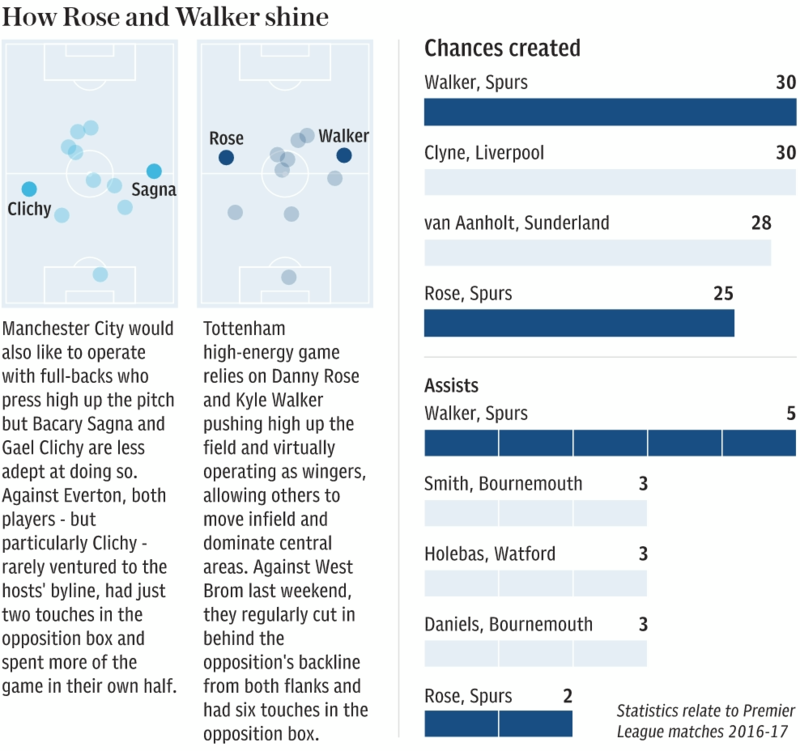 Their strength in depth at full-back, with Ben Davies and Kieran Trippier shows why that position is so important to Mauricio Pochettino’s team. They have made it a key part of the way that they attack opponents and they seem to be able to do it using wing-backs or the orthodox flat back four. 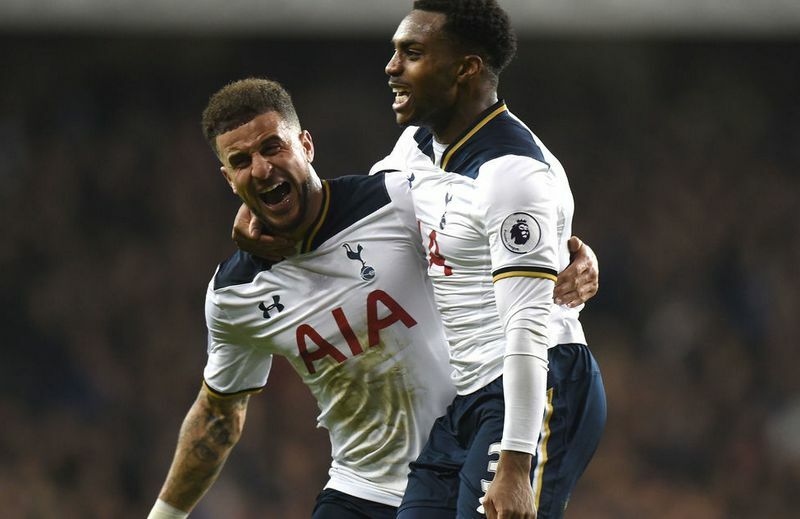 Kyle Walker (left) and Danny Rose (right). CREDIT: GETTY MAGES. The last thing to say about Spurs is that they are a physically imposing, athletic bunch. You only need to look at the size of the likes of Walker, Eric Dier, Toby Alderweireld, Jan Vertonghen, Mousa Dembele, Victor Wanyama, Dele Alli and Harry Kane. People used to say the same about the 1999 Manchester United treble team. That physicality and power – it is not everything to a good side, but it can count for a lot.